Q: How do I process payments for the troop's cookies? Collect payments from parents/guardians frequently. Provide the parent/guardian with a signed receipt. Enter girl payments into eBudde. Deposit payments into the troop and Council banks as often as possible. The safest place for the money is in the bank! Complete all fields on the deposit slip (date, troop, name, phone number, total). List the last name of the person on the deposit slip, not the check number. Event provides an opportunity for completion of the Girl Scout Brownie Wonders of Water Journey. Adults may be asked to stay to meet girl adult ratio. No Tagalongs. A light snack will be provided. For questions, contact Shannen Sager at lalareb3@gmail.com. Take Five - Week Two! Take five cases of cookies from any Council cupboard between February 27 and March 4, 2016 and qualify for a drawing for a fun troop reward! For every five cases your troop takes, your troop will be entered to win! Art Matters, the YAV Creative Learning Festival, provides opportunities for children, teens, and lifelong-learners to explore arts connections in education and the community. For additional information visit the Young Audiences of Virginia website at yav.org. Celebrate the Arts is a family fun day filled with performances by Young Audiences of Virginia, arts activities for all ages and other educational entertainment provided by the Children’s Museum of Virginia. For group rates, contact the Children’s Museum of Virginia at 757-393-5258. For event questions or more information, contact Anna Haywood at schedulingdirector1@yav.org or Jennifer Chapman at scheduling@yav.org. This course includes all of the content from the Outdoor I and Outdoor II courses in one weekend. Mark your calendars now for the Volunteer Kick-Off! March 10, 11, 12 Celebrate Girl Scout Birthday Week! Visit one of the shops during Girl Scout Birthday Week and receive a free Happy Birthday fun patch with purchase and receive a 20 percent discount off entire purchase. While supplies last. I Can't Wait to Go To Girl Scout Camp! Girl Scout camp is where girls learn new skills and make memories that will last a lifetime. 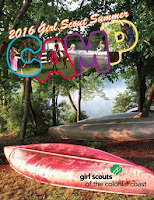 Find the right camp sessions for your Girl Scout in our new digital camp magazine or go to gsccc.org to learn more. We all have those memories of that special place or special time when we learned something new about our world or about ourselves. Girl Scouts of the Colonial Coast summer camp is a place for your girl to make those discoveries. While she may not remember exactly how camp made her more responsible and independent or how it gave her an appreciation for nature, she’ll know it did. She’ll make more friends because camp is where friendships are born and fostered. She will learn how to be her best and do her best. She’ll get a taste of success through teamwork, outdoor challenges, artwork and the fun, day-to-day activities that take place at Girl Scout camp. Girl Scout camp is where girls learn new skills and make memories that will last a lifetime. Camp registration opens February 29, 2016! Find the right camp sessions for her in our new digital camp magazine or go to gsccc.org to learn more. A new reward will be offered each week of the cookie program beginning February 20, 2016. Take five cases of cookies from any Council cupboard between February 20 and February 26, 2016 and qualify for a drawing for fun troop rewards! 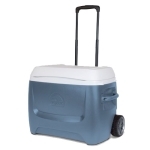 For every five cases your troop takes, your troop will be entered to win! Week 1 - Win One of Four $25 Little Caesar’s Pizza Party Gift Cards. Individually registered girls not associated with a troop are eligible to receive these rewards. Troops are eligible to earn more than one of these rewards. You asked and we listened! During the town hall meetings, Girl Scout volunteers were loud and clear about their desire for Council to recognize, not only the Girl Scout Gold and Silver Awards, but the Girl Scout Bronze Award and the Girl Scout Summit Award as well. Recognition for both of these higher awards is now available. Council recognition of Girl Scout Bronze Awards may be requested by completing a simple online form. Once the form is complete, we will send the girls a Girl Scout Bronze Award certificate signed by GSCCC's CEO, Tracy Keller. The survey is available here. The deadline to submit nominations for the Volunteer of Excellence and Community Awards is fast approaching. All nominations must be submitted by March 1, 2016. If you like camp and you love to cook, we have the perfect opportunity for you to do both….and get paid! We are in need of a summer camp Kitchen Manager. We need you from June 12 - July 29, 2016. It is an amazing opportunity for someone who is interested in culinary arts or just has a passion for food. The Kitchen Manager will oversee all food service operations, plan a nutritious menu, prepare and cook meals, and manage pantry inventory and ordering. Keystone Education Services and The Hurrah Players are sponsoring a free preview of the Hurrah Players production of James and the Giant Peach. For more information call 757-802-7120. No RSVP required. Want to be creative? Want to solve problems? Want to make a difference in the world? Meet local women who do all these things as professionals in Science, Technology, Engineering and Math. This event is a hands-on STEM exploration for girls in grades 6-8 and her significant adult. For more information about the workshops offered and how to register, click here or email pattisonsj@gmail.com. March 18, 6 p.m. – March 19, 10 a.m.
Join the sisters of Kappa Delta for a fun night of games, songs and movies! Bring your sleeping bags, your wilderness skills and an empty stomach to fill with campfire treats. A pasta dinner and bagel breakfast will be provided. Please send your Girl Scout with any meal supplements or snacks if these meals do not fit her dietary needs. Come prepared with a sleeping bag, pillow and any other sleepover necessities. RSVP by March 14 to Ashley Darang at apdarang@email.wm.edu. Kappa Deltas will show Girl Scouts around the campus and talk to the girls about college life. Stations will be set up around campus to help girls explore different majors. For example, Kappa Deltas who are nursing majors will talk about the equipment nurses use, science majors will help the Girl Scouts perform a simple science experiment etc. We will end the day with a Q&A session for girls to ask the Kappa Deltas questions about college and life on campus. For questions or additional information contact Jacqueline Brooks at jacquelineb@gsccc.org. For registration assistance, email support@gsccc.org. Campus Girl Scouts will show Girl Scouts around the campus and talk to the girls about college life. Stations will be set up around campus to help girls explore different majors. For example, Kappa Deltas who are nursing majors will talk about the equipment nurses use, science majors will help the Girl Scouts perform a simple science experiment etc. We will end the day with a Q&A session for girls to ask the Kappa Deltas questions about college and life on campus. For additional information and to reserve your spot, contact Jacqueline Brooks at jacquelineb@gsccc.org. This year, the Roanoke Island Festival Park is celebrating England’s first colony in North America. Tour a 16th century representative ship, a settlement site with a blacksmith shop, a hands-on wood working display, an American Indian town and an indoor adventure museum facility. What began 16 years ago as an international festival for children has blossomed into an event for the young and young-at-heart. Live performances, authentic foods and expo booths feature something for everyone. For more information, visit www.hampton.gov/parks or call 757-727-8311. Join the Hampton Roads Chapter of The Ninety-Nines for a fun aviation seminar! This program is designed to introduce girls to flight and ignite dreams of a future in aviation. Girls will learn how airplanes fly, sit in an airplane as Pilot in Command and learn exciting facts about Amelia Earhart, the founder of The Ninety-Nines! It's never too early to start planning your next travel adventure with Girl Scouts! Join GSCCC for a trip to the Grand Canyon in June of 2018. The trip also includes visits to Zion National Park, Bryce Canyon National Park, the Colorado River and the Hoover Dam. Get more information here or by contacting Eileen at queenleen221@gmail.com. The price for girls is $2735 and the price for adults is $3135. Payment plans are available. This class teaches girls 11-15 years old CPR and choking prevention, fun activities to entertain children of various age groups, infant and child feeding, and diapering procedures. Additional topics will include water hazards, providing emergency care, basic first aid care and much more. Girls receive a certification card to show parents that they are a certified CABS (Child and Babysitting Safety) babysitter. Book and card are included in the $40 fee. For more information or to register for an upcoming class, go here. Every year (since 1926) we use this day to rally our global sisterhood and support girls as they travel internationally, connect with sister Girl Guides, and take action on global issues to make the world a better place like only Girl Scouts can. This is a day to give thanks for the inspiring international friendships that we as Girl Scouts are a part of, and to celebrate the many ways these friendships enrich our lives, expand our worldviews and drive us to create meaningful change for everyone. Q: How can I tell if I have been given a counterfeit bill? All volunteers do awesome things, and many go above and beyond the expectations of their position. To recognize these outstanding individuals, consider nominating them for the Volunteer of Excellence award. The deadline for nominations is March 1, 2016. Show appreciation to the organizations and individuals who support Girl Scouts throughout the year by nominating them for a GSCCC Community Award. A certificate signed by the CEO will be provided for presentation to the organization or individual who meet the criteria. The deadline for nominations is March 1, 2016. For group rates contact the Children’s Museum of Virginia at 757-393-5258. The SPCA recycles empty prescription bottles (the brownish type) to dispense medicine for dogs and cats. Collection of these empty bottles will run through March 14, 2016. Please remove the labels prior to donation. Bring donated bottles to A Place for Girls. 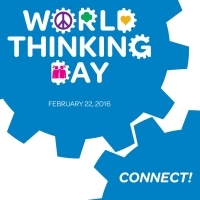 A donation box will be available in the lobby until March 14, 2016. This is a fun and new event that aims to prepare Girl Scout Cadettes, Seniors and Ambassadors for thinking about, applying to and going to college. This workshop will help Girl Scouts start their college search by learning what they should be doing at this point in their school career. This course covers adult and child/infant CPR with AED. You will learn how to respond in an emergency and how to administer basic first aid. You will receive your Level 1 Certification which will be good for two years. To more information or to register for an upcoming class, click here. This class teaches girls 11-15 years old CPR and choking prevention, water hazards, fun activities to entertain children of various age groups, infant and child feeding, diapering procedures, providing emergency care, basic first aid care and much more. Class includes a certification card to show parents that you are a certified CABS (Child and Babysitting Safety) babysitter and a book to review everything you will learn in the class. Book and card are included in fee. For more information or to register for an upcoming class, click here. Project Plant It! is a partnership among Dominion, the Arbor Day Foundation and elementary schools in regions served by Dominion Virginia Power. Each year, this program teaches thousands of students and community members about the value of trees in our ecosystem and how to recognize and care for trees. Project Plant It! provides a hands-on experience for each child. Activities, resources and free seedlings are available at http://www.projectplantit.com. Live show starts at 11:30 a.m.
All Girl Scouts receive the Medieval Times free participation patch. Minimum 15 guests for group benefits. Prices do not include tax or gratuity. Girl Scouts and leaders must wear uniforms or Girl Scout shirts to receive the free patch. To make reservations call 843-236-2719 or email raelene.peterson@medievaltimes.com. Art Matters, the YAV Creative Learning Festival, provides opportunities for children, teens, and lifelong learners to explore arts connections in education and the community. Q: Our troop placed our initial cookie order. Can the girls keep selling? A: Absolutely! All girls are encouraged to continue taking orders after the initial order is submitted. The troop will have access to additional cookies from several cookie cupboards. Cookies from cookie cupboards are used to fill orders that girls take after the initial order period. These cookies are also available for cookie booths. Cookie cupboards will open February 20, 2016 and will stay open until the end of the cookie program. Cookie cupboard locations are available in eBudde. Closed Saturday and Sunday except event days. Call 757-838-4203 of visit www.hamptoncoliseum.org for more information. Free Bowling fun! Shoes included! 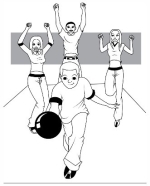 Join AMF Chesapeake Lanes for free bowling and league registration! Call 757-436-4444 to reserve lanes for your troop. If you have the desire to introduce girls to a new level in outdoor progression, consider backpacking. Take a short trip to practice and visit one of the many trails within 3-4 hours of our Council. Did you know that challenge courses can help girls build confidence, become more assertive, develop problem solving skills and increase motivation? Besides – they’re also a lot of fun! Learn all the skills necessary to facilitate the Camp Skimino low ropes course for girls. Choose an issue: Use your values and skills to identify a community issue you care about. Investigate: Research everything you can about the issue. Get help: Invite others to support and take action with you. Create a plan: Create a project plan that achieves sustainable and measurable impact. 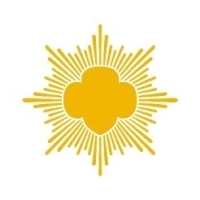 Present your plan and get feedback: Sum up your project plan for your Girl Scout council. The following safety tips are adapted from the Girl Scout publications “Volunteer Essentials” and the “Safety Activity Checkpoints”. For more detailed information on these and other safety practices and procedures, please refer to the aforementioned publications. Show you’re a Girl Scout – Wear a Girl Scout membership pin, uniform or Girl Scout clothing (e.g. a Girl Scout t-shirt) to clearly identify yourself as a Girl Scout. Plan to attend the Harlem Globetrotters game and a bullying prevention presentation. Price includes admission ticket, a patch and attendance to the ABC’s of Bullying Prevention presentation. This presentation was designed in coordination with the National Campaign to Stop Violence. All ages are welcome to attend. Tickets may be purchased at the Constant Center Box Office using the promotion code ABC, or enter the code at ynottix.com/promo. Groups of 10 or more call Todd McKeating at 757-683-7087. Show your Girl Scout pride by wearing your Girl Scout uniform or shirt to the Admirals hockey game! If you wish to have your troop seated together, list your troop number when placing your order. This is a girl and adult event. Tagalongs are welcome. All must pay to attend. Order tickets online here. Select "Girl Scouts - Cookies On Ice Night" and enter promo code GS16. For content questions email jacquelineb@gsccc.org. The Greater Tidewater Chapter #137 of the National Association of Women in Construction (NAWIC) will host a Tools of the Trade and Project Build program. Girls will be instructed on how to use a set of basic tools and their functions, such as a hammer, tape measure, drill and screwdriver. Girls will also learn the necessary safety tips on how to use them and some inside tips on how their design can make them easier to use on the job. We will end the session by girls building a small project they can take home. Join the Hampton Road’s Chapter of The Ninety-Nines for a fun aviation seminar! This program is designed to introduce girls to flight and ignite dreams of a future in aviation. Girls will learn how airplanes fly, sit in an airplane as Pilot in Command and learn exciting facts about Amelia Earhart, the founder of The Ninety-Nines! Price includes event patch. For content questions email donnaf@gsccc.org. For registration assistance email support@gsccc.org. Come learn about one of the oldest buildings on the Virginia Beach Oceanfront, The Old Coast Guard Station. Built in 1903, the station was home to surfmen who worked for the United States Life-Saving Service. Learn all about the Life-Saving Service, the precursor to the Coast Guard, and the surfmen who served. Do More with Your Cookie Sale Than Ever Before! Girls can set up their very own personalized Digital Cookie site today! That’s right. The iconic Girl Scout Cookie Program you know and love has gone beyond the booth, offering more ways to sell and more ways to learn as you earn. It’s easy, safe, and full of FUN. Customers can purchase cookies using credit cards and will receive their cookies in just a few days! Access Cookie Business badges online. Track customer info, orders, and data. Send cool, ready-to-use marketing emails. Play games, watch videos, enjoy printable activities, and take fun quizzes. Use the smart goal-setting calculator.